Most pet owners consider their pets a part of their family, and in a divorce, the thought of losing a beloved pet can cause a lot of distress. Many divorcing spouses are not aware of the status of their pets under the law, and how they can continue to share the pet after the divorce. Some states do allow for a court to award visitation for the family pet as part of a divorce, however, this is not the case in Florida. Under Florida law, pets are considered property, and as such, would be subject to equitable distribution just like any other marital property that a married couple shares. In the case that set this standard in Florida, the court found that Florida courts were already overwhelmed by having to enforce custody and visitation of children, and the courts could not be expected to do the same for pets. This means that one spouse may be awarded ownership of the pet in return for giving up another type of marital property as part of the equitable distribution of marital property. If one spouse brought the pet into the marriage, then that person would have the right to keep the pet after the divorce because the pet is then arguably marital property. Although the spouses can informally agree to a visitation schedule for the pet, the court would not get involved in this kind of arrangement. The parties who agree to this kind of visitation agreement cannot go to court to seek enforcement of such a visitation order. This is because the pet is not considered a child of the marriage, and as noted above, the courts are already overwhelmed. If one spouse is awarded ownership of the pet in the divorce and agrees to allow the other spouse to see the pet, it becomes a private matter between the spouses. The spouses can also outline what will happen with pets after a divorce in a prenuptial or postnuptial agreement. In the agreement, the spouses can agree that one spouse will take custody of the pet, or that the parents will have visitation at regular intervals. 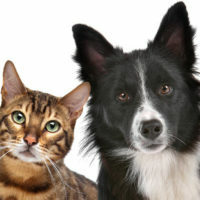 The spouses can also agree on how they will share expenses related to the pet, and how other decisions related to the care of the pet will be made. Because pets are treated this way under the law, negotiation and cooperation are the best way to handle the sharing of a pet. Without this cooperation, the court may make a decision that would leave one of the spouses extremely disappointed. While your pets are important members of your family, the law does not give you the protection you may want regarding the sharing of your pets after divorce. You may come to an agreement with the other spouse, or you can negotiate to take custody of the pet in exchange for something else from the marriage. To find out more about the division of marital property in Florida, contact an experienced Boca Raton, Florida divorce attorney at Law Offices of Schwartz l White for a consultation.